Cars plowed through an open market in the capital of China's western region of Xinjiang, setting off explosions that killed at least 31 people and injured more than 90 others, according to officials. The Xinjiang regional government called the early morning attack "a serious violent terrorist incident of a particularly vile nature," according to The Associated Press. In a posting on its Chinese-language microblog account, the U.S. Embassy said it offered condolences to victims of the "violent attack," but stopped short of labeling it terrorism. Britain's Foreign Secretary, William Hague, said he was "saddened to hear about the terrorist attack." The blasts occurred at a market near the Cultural Palace in the city of Urumqi, which is roughly 1,900 miles west of Beijing. Witnesses said they heard a series of powerful blasts. The state-run Xinhua News Agency reported that after driving through crowds and setting off blasts, two SUVs then crashed head on and exploded. 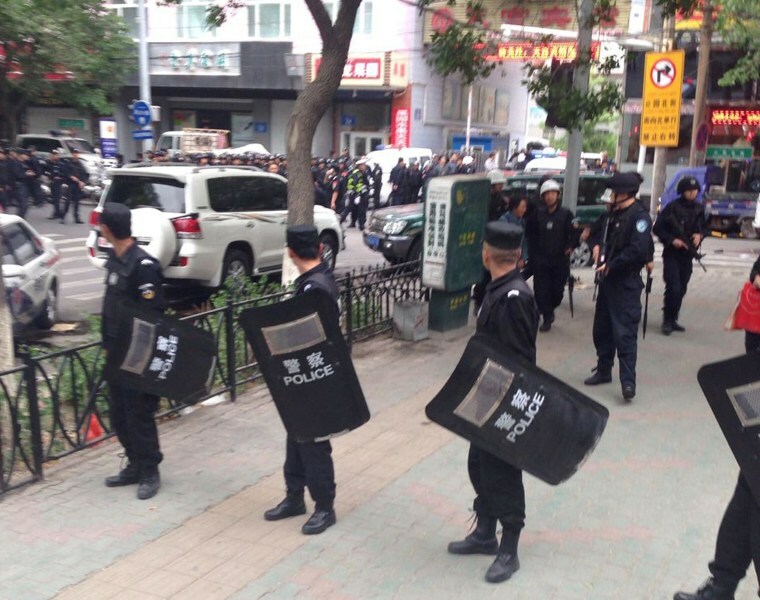 Initial witness accounts of the incident posted on Weibo, a Chinese social media website, said explosives were flung at the market crowd from two SUVs. Witnesses said they heard a series of powerful blasts. At least one witness who said he was near the scene saw a truck in flames, sending vendors fleeing. "I heard four or five explosions. I was very scared. I saw three or four people lying on the ground," Fang Shaoying, the owner of a small supermarket located near the scene of the attack, told The Associated Press by phone. Chinese President Xi Jinping pledged to punish those responsible, Xinhua said on its Twitter feed. The incident was under investigation, Xinhua reported. China has blamed a series of knife and bomb attacks in recent months on separatist militants from Xinjiang, the traditional home of the ethnic Muslim Uighurs. The death toll was the highest for a violent incident in Xinjiang since dayslong riots in Urumqi in 2009 between Uighurs and China's majority Han left almost 200 people dead. Thursday's attack also was the bloodiest single act of violence in Xinjiang in recent history.